Sarah is a beautiful lady, no doubt about that. 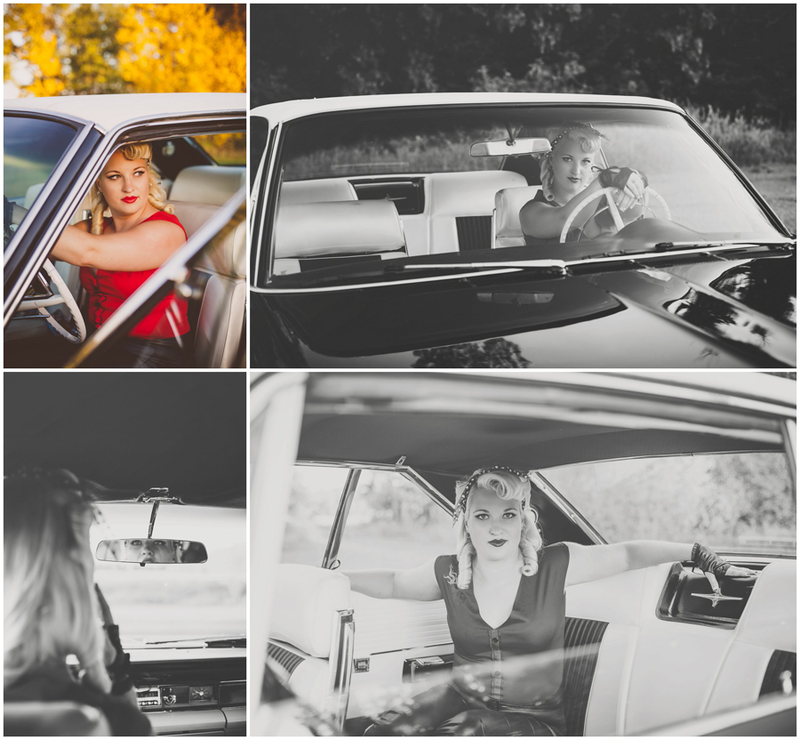 When she contacted me to shoot a pin up style session for her I was all in! I instantly called my father in law to see if I could borrow his restored Ford truck....it was bright yellow and looked amazing. 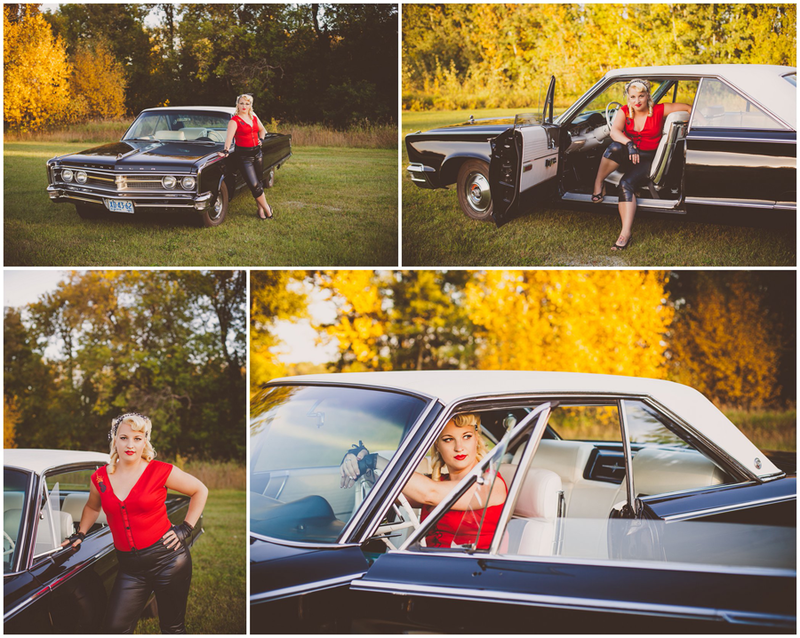 But he convinced me to use his 66 Chrysler 300 instead, and I am so glad he did. It worked perfectly with Sarah's look. Her outfits and everything just worked. A huge thank you to him! Loved every minute of shooting this session and every minute of editing too!